Because of Bad Form, Doing The Wrong Exercises Or Eating The Wrong Foods? 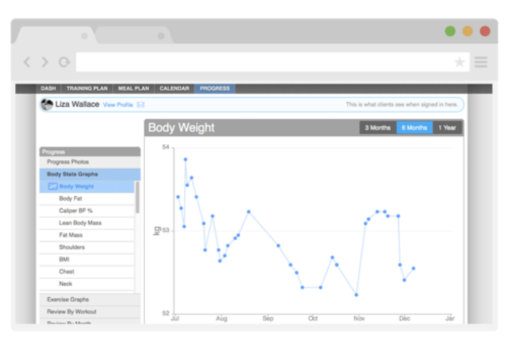 For over 15 years, our trainers have had the pleasure of helping countless people directly to define, measure, track, and reach their health and fitness goals. Read some of our testimonials. And now we want to help you. Or... if you're not sure you want to work with someone in person just yet, but would like some extra guidance to reach your health and fitness goals faster... keep reading. And we're creating new workouts all the time. If by chance, you have a specific goal that one of our workouts does not meet, we'll create one customized just for you. We want to help you reach your fitness goals — whatever they are. And the best way for us do that is to have one of our trainers work with you directly, to develop the right plan for you. It's virtual. There's no time commitment, no pressure, no financial commitment, no judgement, and no need to be at a certain place at a certain time. We help you set realistic goals and timelines. We help you train for an event, sports season, or to break a personal best. We customize your workouts to meet your specific goals, needs and wants. We keep you accountable, to ensure you hit your goals. We provide you with consistent, non-judgmental support. We teach you how to properly perform exercises, to get better results, faster, and without injury. We teach you how to eat better and healthier. We help you increase flexibility, mobility, and stability (to build a strong foundation). We help you form good habits, to improve your overall physical and mental health. And we challenge you to become a better you. You get your own personal coach. They will listen to you, get to know you, and help you reach your ultimate goals! We have highly trained, qualified, and friendly personal trainers on staff. Anyone of them can help you. But you choose the best fit, for you. Your coach will design a plan around your specific fitness goals, schedule, and experience. You'll get online access, plus a free mobile application to track your results. Your coach will follow your progress and make adjustments, as needed. You never have to worry if you're doing the right exercises, putting yourself at risk of injury, or eating the right foods. Everything is clearly defined... what, when and how. And if there's ever a question, you can always contact your coach to get a quick answer. ✱All of our trainers are certified through respected fitness and/or nutrition organizations and/or have a degree. Corrin is a personal trainer and group fitness instructor. Jason is a personal trainer and group fitness instructor. 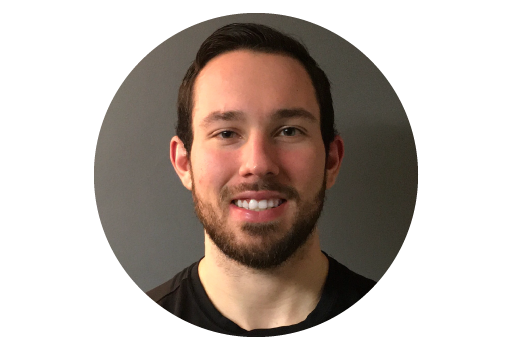 Mo is a personal/nutritional trainer specializing in corrective exercises. Quinton is a personal trainer. Your Success Rate Increases by More Than 30% When Working With a Personal Trainer... according to a study published in the Journal of Sports Science & Medicine. We tell you everything, how to select the correct weight, how many sets to do, how many reps, and how long to rest. We explain how to perform each exercise and even provide a video demonstration, if needed, so you can be confident you're doing it correctly. And if you prefer not to use your smartphone while working out, you have the option to print your routine as a PDF. Your meal plan outlines everything you need to eat to hit your fitness goals. You can track your intake, calories, and macros (protein, fat, and carbs) and sync your entries to your MyFitnessPal app! Our personal trainers are committed to your success. If you have questions about your training, we make it easy for you to ask us. Send a text message from within the app to get a quick answer, anytime. Know where you started and where you are today so you can make adjustments, as needed. Load before and after pictures, personal bests, body stats, and much more. Each of your training plans are customized to your body and goals. You'll be able to access all the plans we developed for you at any time. We design a workout that fits your schedule. Load your calendar to see what you already accomplished and what's next. Why Don't MORE People Hit Their Fitness Goals? There's so much information available online today. But people are still not hitting their goals, breaking through plateaus, avoiding injury, or getting the body they really want. And it's because they don't have the help they need, someone looking out for them, mentoring them, taking them by the hand to filter out the bad information, to avoid pitfalls and to keep them accountable. We want to help you. That's why we created this online coaching program... to make it even easier for you to get the help you need. Fill out a quick application. No worries, it's nothing intrusive. We just ask for a few basic things: contact information, goals, preferences. It should take less than 60 seconds to complete. We will review your application. Our team of personal trainers will take a look at your answers and contact you within 48 hours, probably much sooner. We'll spend a few minutes discussing your needs and choosing the best path to meet your goals. And then, once we have an agreed upon strategy, you'll get started. Enjoy the process and get the results you deserve! What's different about Evolve Fitness? Evolve Fitness uses scientifically based programs built around your body. Whether you are a total beginner or a professional athlete, our programs are tailored to fit your specific needs and goals. Injury Prevention — Our number one goal is to do no harm. We pride ourselves in training each person's underdeveloped muscles and “weak links” to keep them injury free. Proven Techniques — We use exercises and techniques followed by successful professional, division 1, and Olympic programs to help you excel in the gym, on the field, and at home. Measurable Data — We keep well-kept records so that we can help you progress in the most efficient way possible. Do I need to be an Evolve Fitness Gym Member to join Evolve Fitness Online Coaching? No. Anyone anywhere in the world can join. We'd love to have you no matter where you're from. Do you work with total beginners? Yes! We love working with beginners. We'll get to know you and your goals. Then we'll design the best strategy to get you there fast, safe, and healthy. And we'll make everything as easy as possible, answer all your questions, and be available anytime you get stuck. Our goal is to make you 100% confident with exercise and nutrition. No problem. We've worked with fitness enthusiasts and athletes at the highest level including High School stars, Division 1 and professional athletes. Many highly trained and experienced people have come to us for help because they've hit a plateau, or have mobility, stability, or flexibility issues. Or they're in a rut and need a change. We take a fresh approach, define a new strategy, and get them results. And we can do it for you, too. There is none. It's totally up to you, your schedule, and your unique goals. We will customize everything to make it work — even if you only have 1 free day a week. Yes. If you have existing injuries, pain, or other issues... let us know. Often times, we don't need to work around them at all. Instead, we will work to correct them. Many problems can be fixed with the proper workouts. Then, after you have a solid foundation, we will take the next step towards your goal. 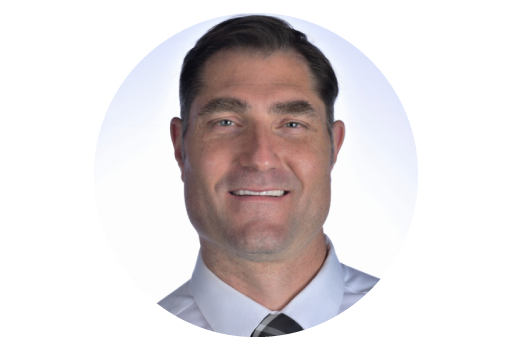 How customized is Evolve Fitness Online Coaching? Very. Whatever you want, we'll help you get it. Of course, we'll make suggestions based on our experience. We don't want you doing something dangerous or unhealthy. But otherwise... whatever you want to achieve, we will design the best program to get you there. If you have dietary restriction or preferences, we'll design around that. If you want to add muscle and lose weight at the same time, we'll come up with a plan. If you want to cut first, and then bulk next.... we can help. The majority of our clients see significant results within 3 to 6 months. If you do the work, follow the programs we design for you... you WILL get results. We guarantee it. 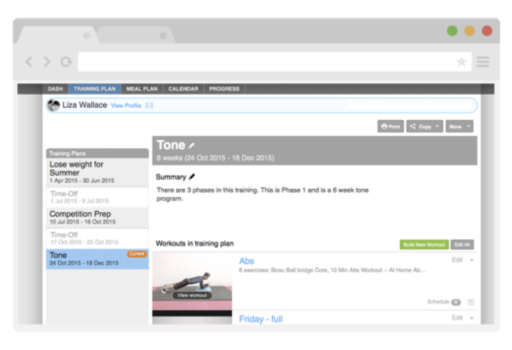 How much does Evolve Fitness Online Coaching cost? one-time upfront cost starting at only $249. *Some of our programs may run longer (e.g. 16-weeks) with additional costs. Ask your personal trainer. How long does Evolve Fitness Online Coaching last? To get the best results, you need to commit to a minimum of three months. Our goal is to get you to a place where you "get it" and are living health and fitness everyday... as a lifestyle... instead of riding the waves... ups and downs. That's not healthy and it's not fun. After three months, we'll continue working with you as long as you want... to keep you on the right path, or to work towards your next goal. We have many clients who've been with us for years. When your first three months expire, you can sign up for another three months, or choose an upgraded plan. E.g. lose fat, build muscle, improve strength & conditioning/endurance, improve athletic skills (speed, agility, strength, bat speed, pitching velocity, etc. ), improve joint flexibility/mobility, reduce pain, feel better & healthier, look better (get ripped/sculpted/toned/firmed-up), or something else? Never, it will be hard, but I'm ready. Probably, don't want to quit, but I might. Very, don't know if I can handle it. We received your application and will contact you within the next 48 hours.